The tech world is eagerly waiting for Apple to announce its latest iPhones. The devices are likely to be introduced sometime during the second week of September (the company's usual drop date), and rumors this year were pretty consistent, suggesting the launch of three new devices. A recent report from Bloomberg is the last to follow this prediction. Three New iPhones . Expect an upgraded iPhone X with a 5.8-inch OLED screen; a new high-end iPhone with a 6.5-inch OLED screen; and a new cheaper model (which looks like the iPhone X) with a 6.1-inch LCD screen. The two larger devices may have dual-SIM card slots in some regions. 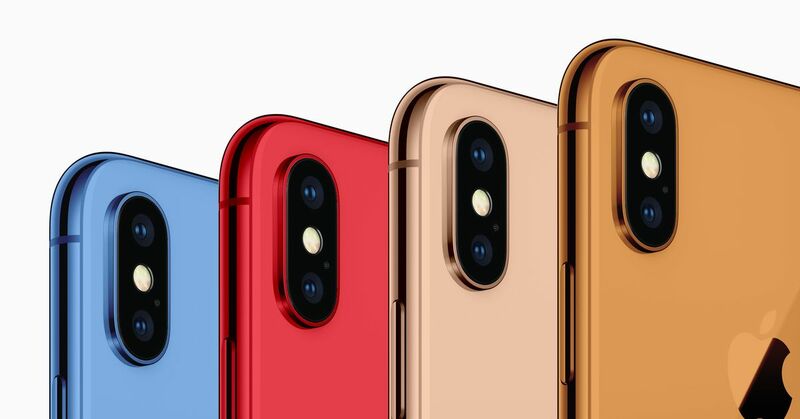 Cheap (ish) and colorful The 6.1-inch iPhone will be available in several colors. (Earlier rumors indicate that gray, white, blue, red and orange variants will be available.) Instead of the color matching stainless steel case on the iPhone X, it will also have uneven aluminum edges. Gestures for all . All three devices feature the new gesture controls introduced in the iPhone X, and Apple's Face ID facial recognition system. It is expected that Apple will also use the larger screen of the 6.5-inch device, which "can display content in applications such as mail and calendar side by side". Name confusion After Bloomberg there was a fairly internal discussion about the names, since the three devices are not easy to distinguish. The new high-end device could be "the iPhone Xs" with the larger device "the iPhone Xs Plus". Subject to change. Peripherals and more . Sometime this year (not necessarily in September) we can expect updated AirPods; a new Apple Watch with a bigger screen in the same case; a new wireless charger (probably the much delayed AirPower mat); and improved iPads Pros with slimmer bezel and face ID replace the fingerprint home button. As always, this information is by no means unique, but it fits in with what we have seen so far this year. Expect to hear more in September, with invitations to the actual event coming soon.